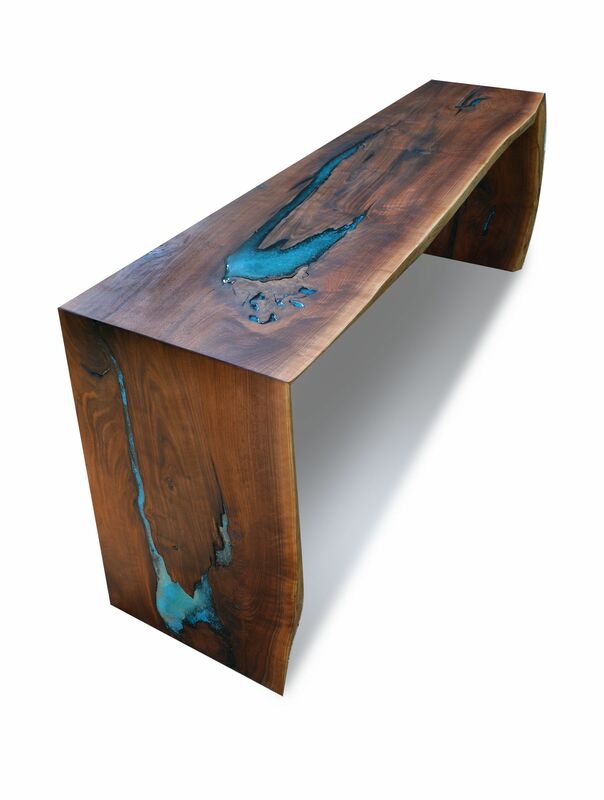 This dining console started with a beautiful piece of reclaimed live edged walnut. 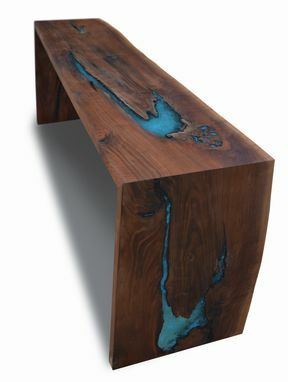 A river of epoxy resin and turquoise chips fills the varied irregularities and natural holes in the wood. 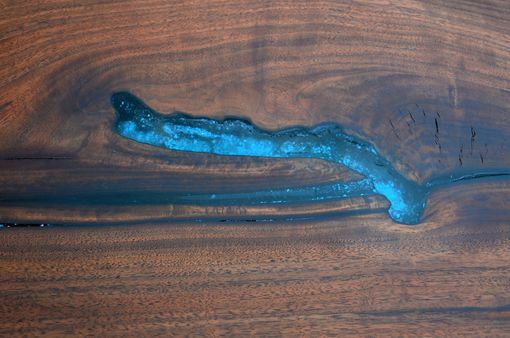 The mitered edges allow the wood grain to flow seamlessly down the sides. Elegant, simple design gives it a distinctly modern look. 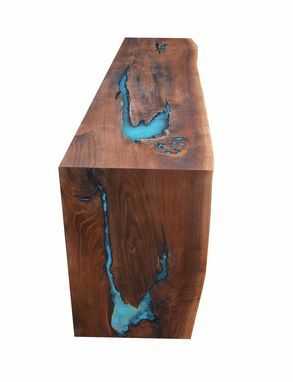 Size shown is 82L" x 20"W x 32H" x 2"T.
Because each piece is hand-made from unique pieces of wood, it will not look exactly like the sample shown. 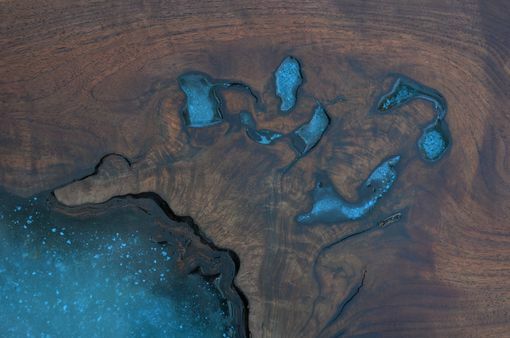 They will be constructed the same way but each table will have it's own signature look.